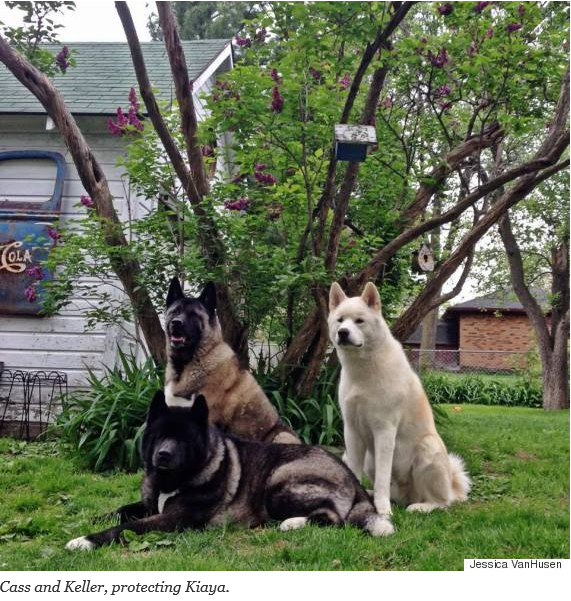 Kiaya, an Akita from Waterford, Michigan, lost both her eyes by the end of last year due to a battle with glaucoma. 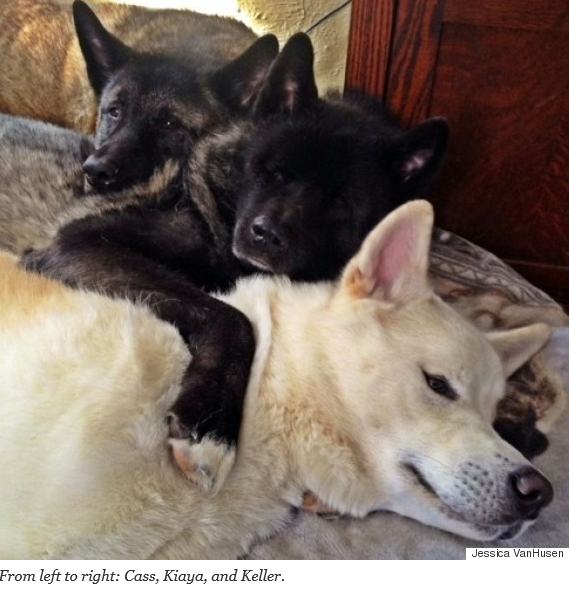 But the 10-year-old pooch can still get around fine, all thanks to Cass and Keller — two other dogs who help guide her, functioning much like seeing-eye dogs. 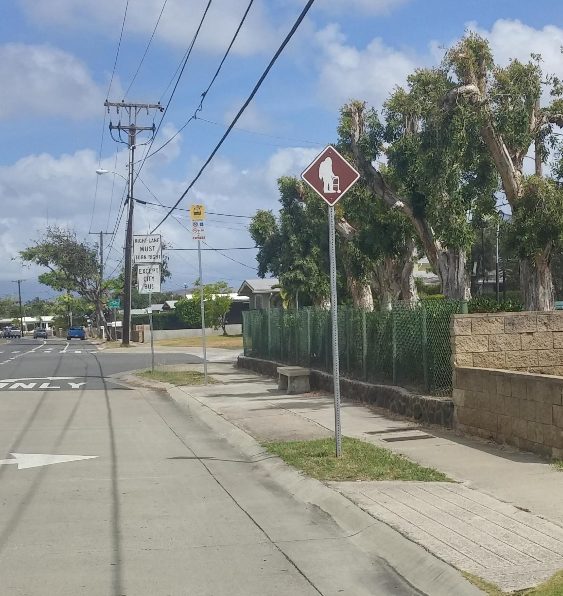 For decades, a homeless person affectionately nicknamed the Mango Man has been a fixture in the beachside neighborhood of Kailua, on the Hawaiian island of Oahu. 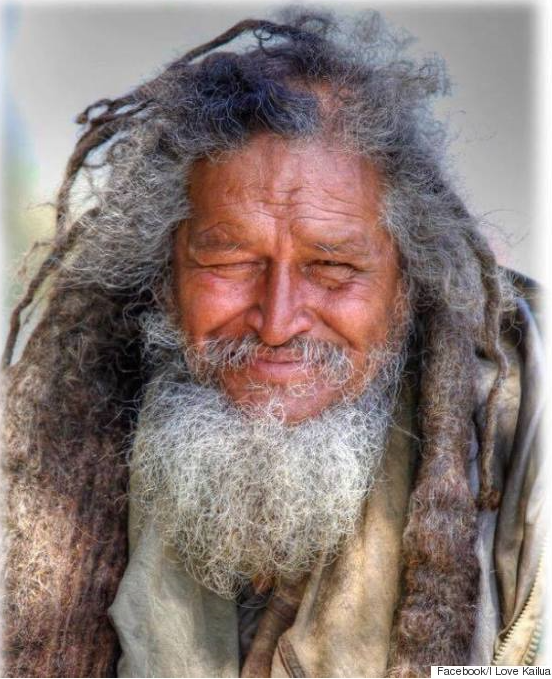 With waist-length dreadlocks, Mango Man — whose real name is John Cruz — is reliably seen around town with his walker (he was hit by a car a few years ago) or sleeping under mango trees (hence his nickname). He is said to be in his late 60s and to have served in the Vietnam War. He doesn’t ask for money or help, but rather sits quietly and watchfully in the neighborhood, sort of like a living landmark. But in April, when a group of residents went to surprise Cruz with a new walker, they found him in need of immediate health care. According to KITV-4, the residents sought help from Chad Koyanagi, a doctor at the Waikiki Health Center, who organized with the Honolulu Police and Fire Departments, as well as EMS and the residents, to retrieve Cruz and take him to a hospital for treatment. Because of his condition, which residents wouldn’t disclose to protect Cruz’s privacy, Cruz was placed in intensive care and is expected to stay in the hospital for a while. Stolfi-Tow said his presence is missed. “It feels like the energy was just sucked out of the place,” she said. A few other community members installed a sign for Cruz near a bus stop. 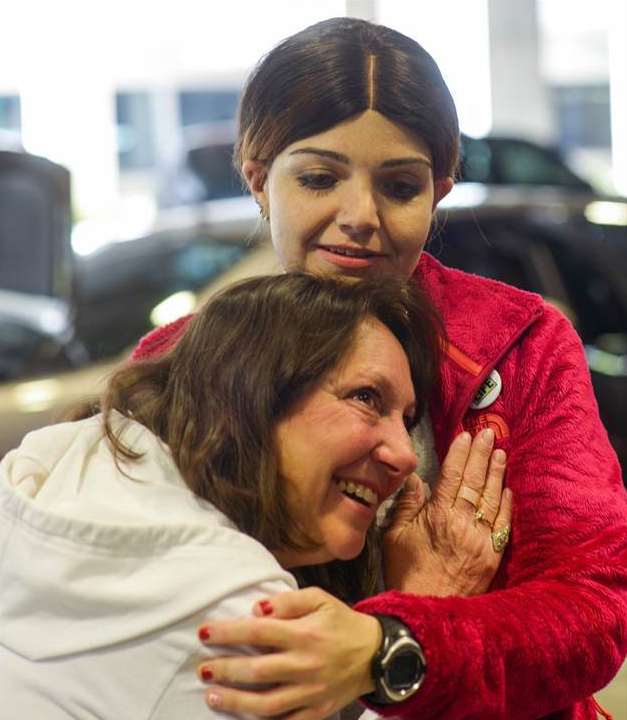 “It’s to say, ‘We’re holding your spot when you’re ready to come back,’” Stolfi-Tow said. Why does the community love Cruz so much? According to stories posted on the “I Love Kailua” community page on Facebook, many people experienced Cruz offering advice to those in need or protecting young people in Kailua. In addition to a guardian angel, Stolfi-Tow has come to think of Cruz as a centurion for the community because of his military service and his tendency to wear fatigues. 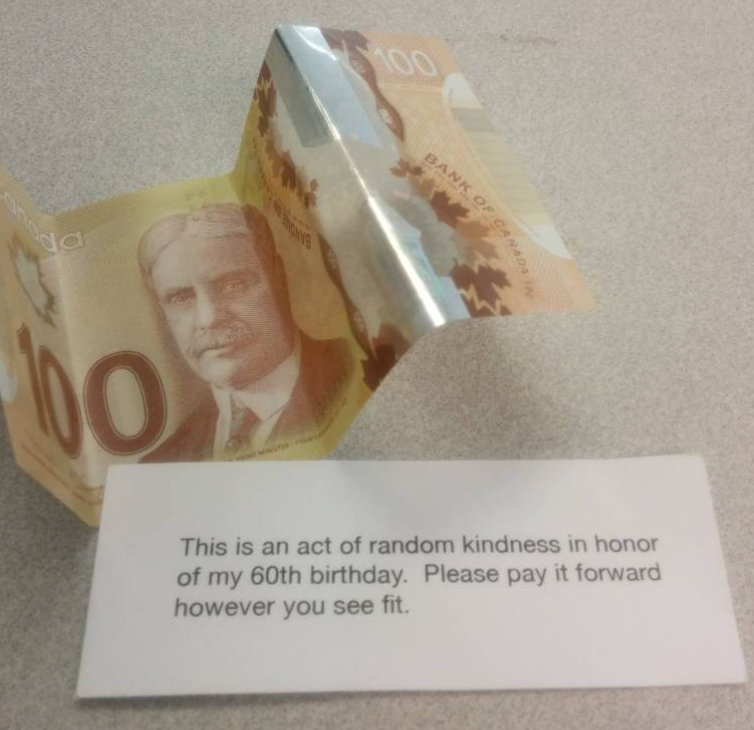 This teacher’s mix of spontaneity and compassion deserves an A+. Tori Nelson, a teacher at Winlock Elementary School in Washington, found Matthew Finney, one of her fourth-grade students, crying outside the classroom this past Monday, Today.com reported. The 9-year-old, who was hiding under a hat, told Nelson that he had been teased. The school doesn’t allow hats in the classroom. 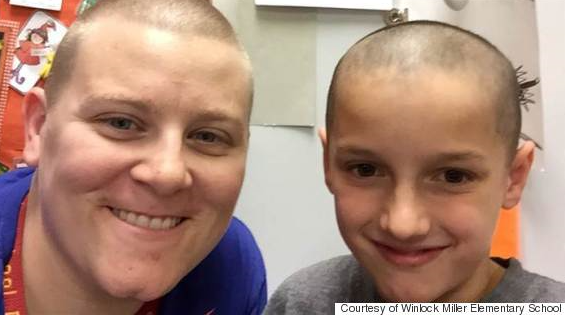 So the 32-year-old teacher hatched a plan that would make Matthew feel better, take off his hat and come into the room — she decided to allow the 9-year-old to shave her hair off. It was an idea that shocked the student, but Nelson assured him she wasn’t kidding around. “I said, ‘Yeah, then you can say, “Hey, if you’re making fun of me, then you’re making fun of Miss Nelson too.”‘ So that perked him up and got him through the morning,” she told ABC News. 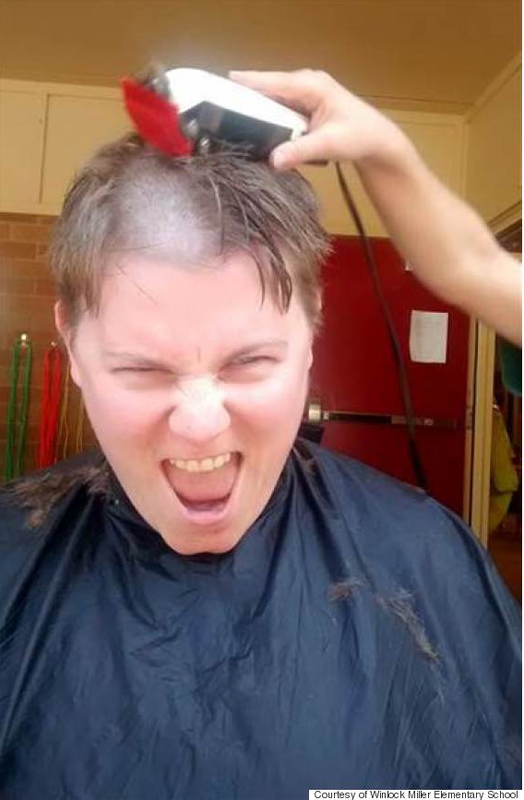 Later on, Matthew shaved his teacher’s hair off on the playground in front all the students, who cheered him on. The teacher’s confidence-boosting plan seemed to have worked. Matthew cheered up and no one teased him that day, according to Yahoo News. While the compassionate act was quite bold, Winlock Elementary principal Boyd J. Calder said it’s something he’d expect from Nelson. As for Matthew, the 9-year-old not only felt more confident, but also learned to stick up for himself. “Matt came home that day so excited about what had happened — he felt really good,” Breanne Finney, Matthew’s mother, told Yahoo. 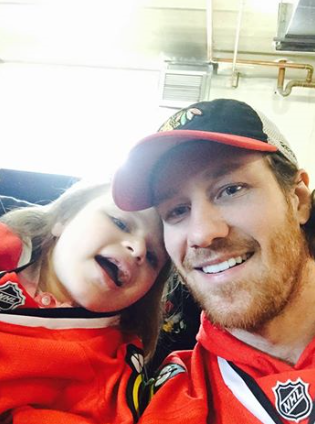 Chicago Blackhawks defenseman Duncan Keith has made a young superfan very happy. As part of the team’s #WhatsYourGoal campaign, which encourages people to share personal goals and wishes on social media, Keith took 5-year-old Cammy Babiarz for the first skate of her life. Cammy was born with Rett syndrome, a neurological disorder, and is unable to walk or speak. Her wish was to meet Keith and score a goal on the ice. Cammy’s mother, Jackie, hoped to include her daughter in the campaign by submitting a photo of Cammy wearing a leg brace with the Blackhawk’s logo. She read the team’s roster to Cammy and asked her which player she would like to meet. To respond, Cammy looked at her parents for “yes,” and looked away to reply “no.” When Jackie said Keith’s name, “She gave us a resounding smile, her eyes locked on us,” Cammy’s father, Bill Babiarz, told Yahoo Sports’ hockey blog, Puck Daddy. The Blackhawks contacted the Babiarz family and invited Cammy to come to the team’s practice facility. Cammy knew she was going to a hockey rink, but didn’t know she was meeting Keith. When he walked into the locker room where she was waiting, the 5-year-old burst into a giant smile. Cammy wasn’t the only one surprised. 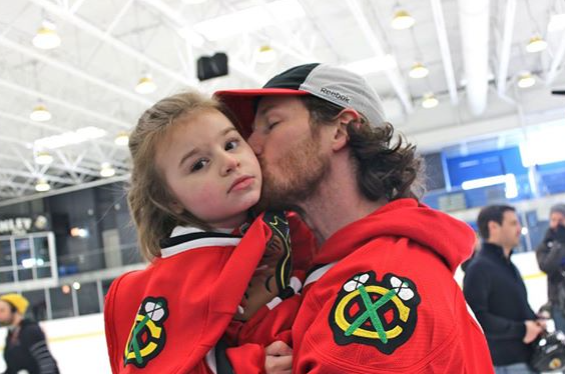 Her parents initially thought Keith would just push her wheelchair on the ice, but the Blackhawks encouraged them to bring the harness they use to walk with Cammy. This allowed her to attach to Keith while he moved, and wear her own skates that touched the ice. Together, they scored a goal. At the end of the visit, Cammy received a pair of jerseys, a signed hockey stick and a Blackhawks bag. Last year, Bill ran 150 miles across the state of Illinois to raise awareness for his daughter’s disorder. “Research has been accelerated and we do hope, one day, Cammy will run with us,” Jackie said according to the family’s Facebook page. While Cammy’s goal-scoring visit with Keith was the big win of the day, Bill hopes it will continue to help his family raise awareness for Rett syndrome. “It’s a day we’ll never forget,” Bill said. 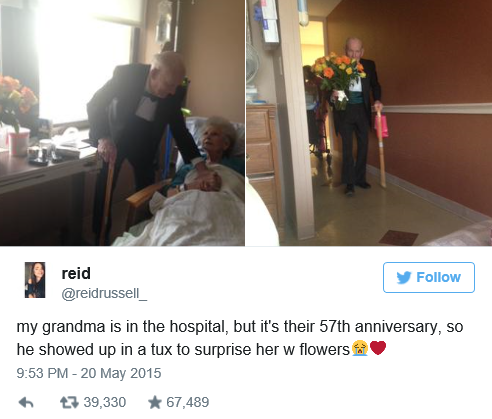 Would you want to get a sneak preview of what your life partner would look like in 30, 50, and 70 years? Would it change anything for you? The video creator who made this for Field Day took a chance that it wouldn’t. Marriage isn’t for everyone, but what’s so moving here is seeing something that is really the ideal of what those who choose partnership are looking for. Commitment, joy, friendship — a kind of generosity of spirit and appreciation that can last through decades and shifts in life priorities. The things that physically attract us to our partners WILL fade with time (and so will the things about us that attracted them!). But if you have a foundation of acceptance and unconditional love underneath it, that’s what will sustain you through the years. 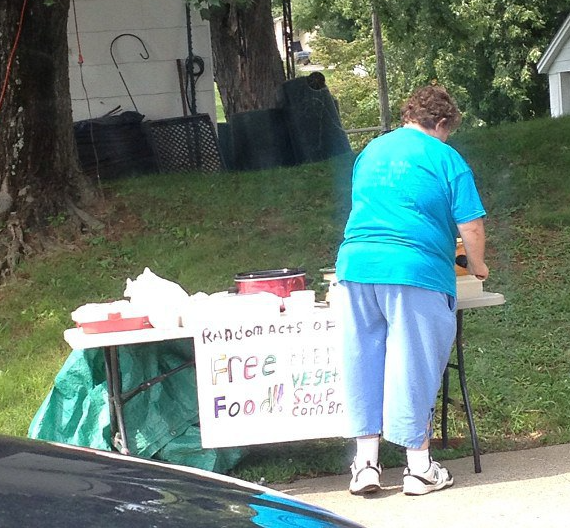 “This sweet little old lady puts out food everyday to feed those that are hungry,” writes Tammy Beasley. 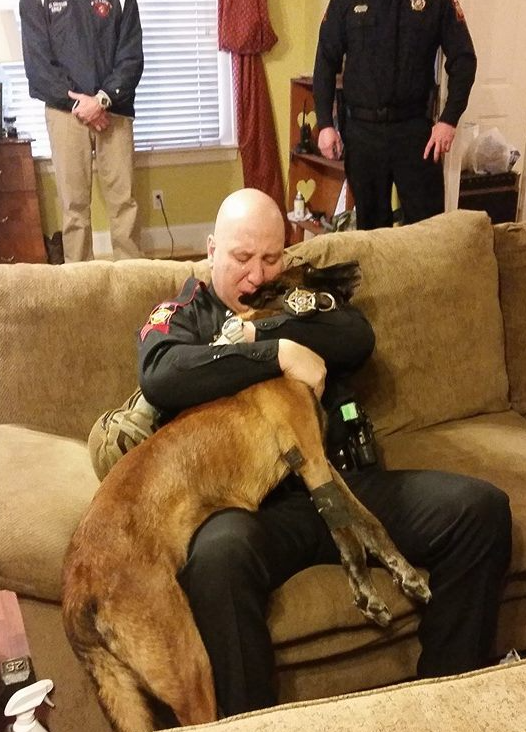 A photo of K9 Police Dog ‘Solo’ and his partner, Staff Sgt. Carlos Dipuma. The memorial service included a photo montage of Solo and his partner, Staff Sgt. Carlos Dipuma, as well as a moment of silence for the K-9 officer so many had grown to love. Then many in the multi-purpose building at Farris Park sniffled as Solo’s last radio call went out. “Attention all units, be advised that Solo does not respond. 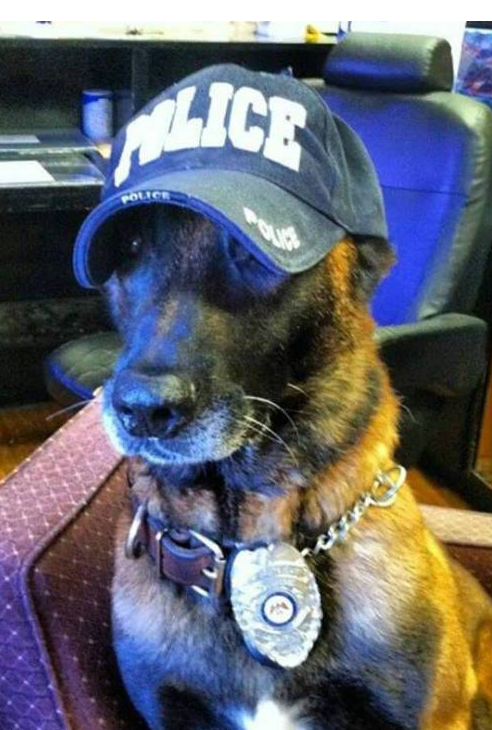 K-9 Solo is now deceased and will be laid to rest February 2, 2015,” the dispatcher said. With that last call came a finality for so many Monday morning: the dog they trusted with their lives was gone. On Friday, Solo was diagnosed with terminal cancer, two tumors pressing on his heart and spleen. On Monday morning, the department had to put him down. “It’s gonna be hard knowing when I go in that truck again in the morning time and go 10-8, that my partner won’t be in the back,” Dipuma said. Please see the text below, by an unknown author, which is inscribed on the Connecticut State Police K9 Memorial. Trust in me, my friend, for I am your comrade. I will protect you with my last breath. When all others have left you and the loneliness of the night closes in, I will be at your side. Together we will conquer all obstacles and search out those whom might wish harm to others. All I ask of you is compassion, the caring touch of your hands. It is for you that I will unselfishly give my life and spend my nights unrested. Although our days together may be marked by the passing of the seasons, know that each day at your side is my reward. My days are measured by the coming and going of your footsteps. I anticipate them at every opening of the door. You are the voice of caring when I am ill; the voice of authority when I’ve done wrong. Do not chastise me unduly, for I am your right arm, the sword at your side. I attempt to do only what you bid of me. I seek only to please you and remain in your favor. Together you and I shall experience a bond only others like us will understand. When outsiders see us together their envy will be measured by their disdain. I will quietly listen to you and pass no judgment, nor will your spoken words be repeated. I will remain ever silent, ever vigilant, ever loyal. And when our time together is done and you move on in this world, remember me with kind thoughts and tales, for a time we were unbeatable. Nothing passed among us undetected. If we should meet again on another street I will gladly take up your fight. I am a Police Working K-9 and together we are guardians of the night. We give thanks to Solo (above) and Staff Sgt. Carlos Dipuma for their bravery and dedication in protecting and serving the public.